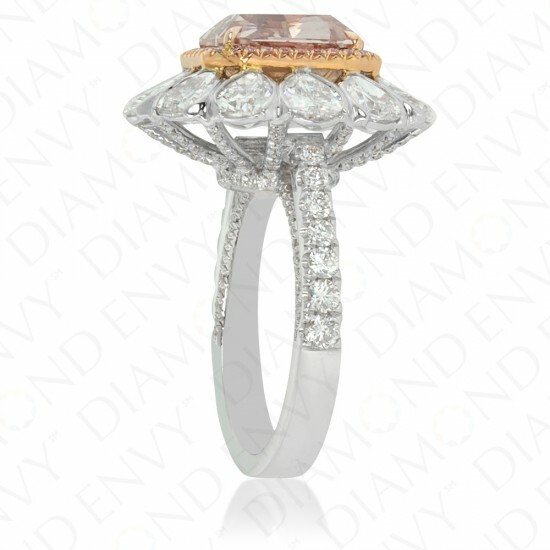 A heavyweight piece ideal for making statements at cocktail receptions, this 18K two-tone gold ring boasts a ravishing 3.56 carat SI1 radiant cut Natural Fancy Intense Pink diamond framed by a flower-like arrangement of 12 F-G VS1-SI1 pear-shaped diamonds, 2.93 ct. tw. 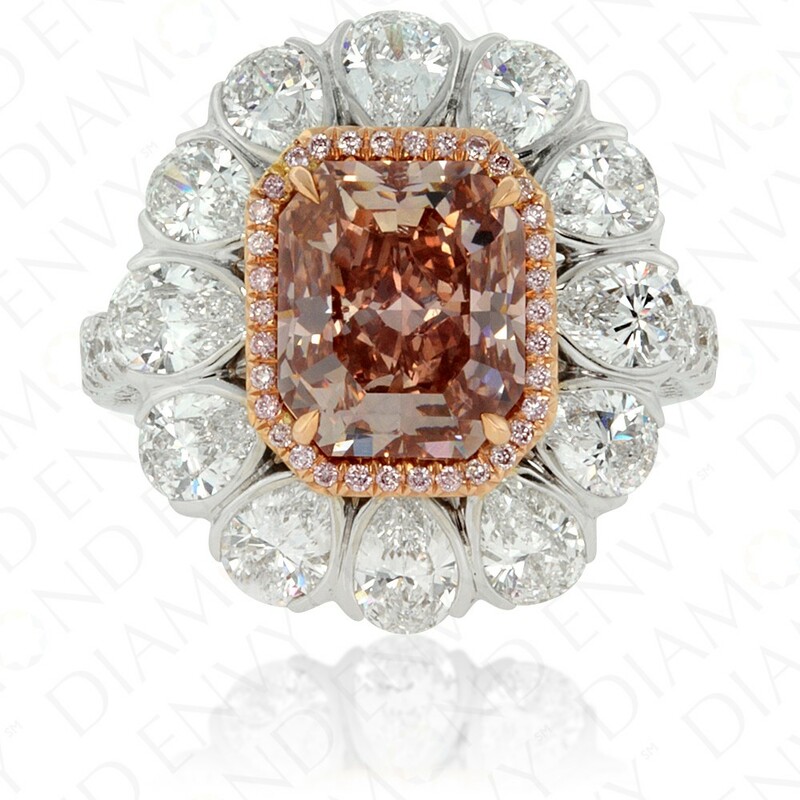 The center stone is surrounded by a pave-set halo of 34 VS2-SI1 Light Pink diamonds, 0.10 ct. tw. 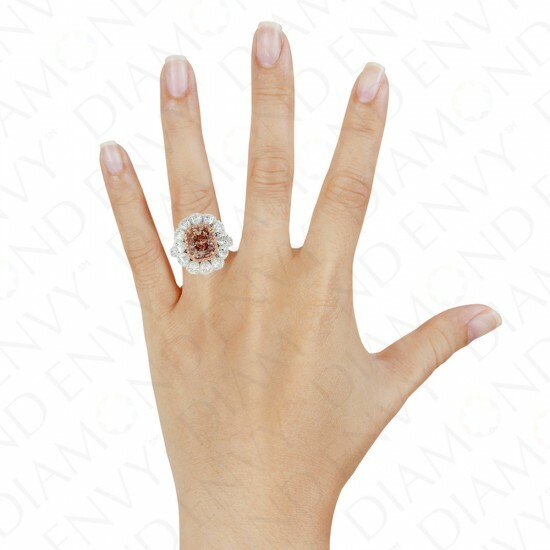 F-G VS1-SI1 round diamonds of graduated size accent the upper parts of the shank while F-G VS1-SI1 round diamonds outfit the galleries and undersides of the head, totaling 156 pieces, 0.66 ct. tw. 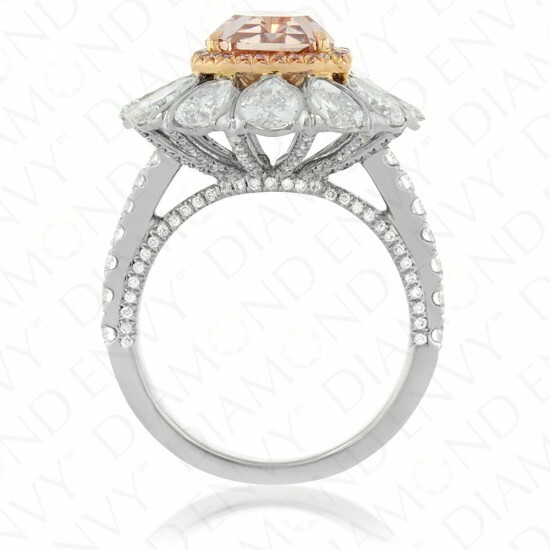 Gold weight: 8.73 grams. 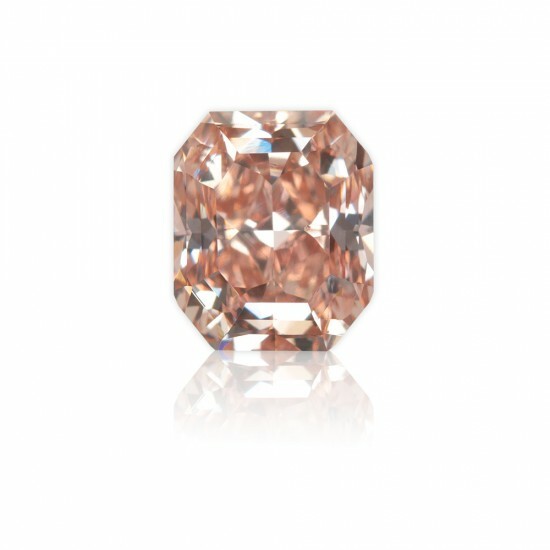 Center stone is GIA-certified.